Situated in the sun kissed Brittany region of France, L'Océan Breton is a leading LuxCamp that is situated on the edge of a gorgeous sandy beach. People who book a modern mobile home here will be able to stroll down to the sand in just a few minutes, while a number of other stunning beaches are just a short drive away. 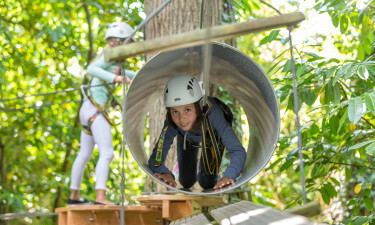 While most people choose to stay at this luxury camping site so that they can spend their time unwinding on the beach, there is also plenty to do right on the site itself. A large number of activities are organised by the staff here, while guests can unwind in style at the wellness centre. 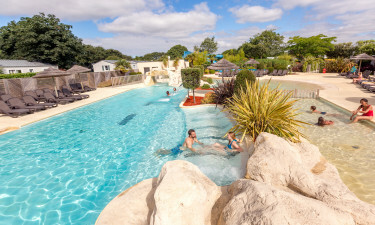 Lovers of luxury camping will be able to splash around at L'Océan Breton at any time of year as the site boasts two large indoor heated swimming pools. The site also boasts a huge centrally located water park that comes complete with plunge pools and water slides. Guests are sure to want to spend plenty of time soaking up the sun on the stunning sandy beach. A large number of water sports can also be enjoyed there such as kayaking and windsurfing.